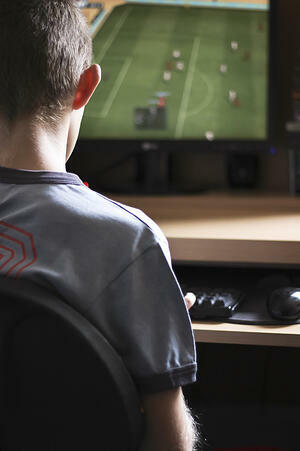 The number of children addicted to video games is increasing at an alarming rate. More and more kids are choosing the television and PC screens over interpersonal interactions with friends and family. Games have become so advanced that they have the power to captivate players like never before. 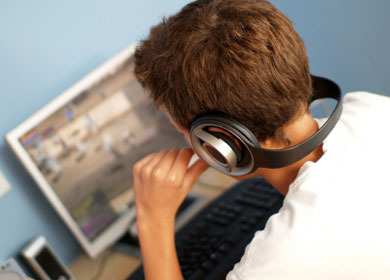 Let's take a look at some signs of video game addiction along with some parenting strategies that can wean kids off of video games. This article was originally published on the Huffington Post by Dr. Gregory Jantz. There's a fascinating study out from the Boston Medical Center in this month's edition of Pediatrics entitled, "Patterns of Mobile Device Use by Caregivers and Children During Meals in Fast Food Restaurants." Researchers went to 15 fast food restaurants in the Boston area and covertly watched caregivers and kids during meal times. The results were interesting, in a car wreck sort of way. Of the 55 caregiver/child(ren) interactions observed, 40 of the 55 involved a mobile device being accessed at some point during the meal by the caregiver; that's around 73%. 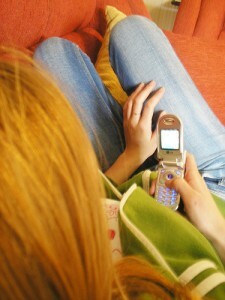 When a cell phone was used, 40% of the time it was used almost continuously by the caregiver. Mealtimes used to be about face-to-face interactions; apparently, that's not the case anymore. Instead, meal times are becoming face-to-screen interactions, with a few fries mixed in. When I was growing up, television was both applauded and derided as an electronic babysitter; for many, it still is, although television has been joined by a plethora of other screens. Plop the kid in front of the screen so the adult could do something else. I'll admit to resorting to such a strategy a time or two when my kids were younger. Reading this study, though, it seems like the electronic babysitter has switched. Instead of parking the kid in front of the screen so the adult can do something else, it's the adult parked in front of the screen, and who cares what the kid's doing? This article was originally posted on The Huffington Post by Tim Elmore. In case you're wondering how kids today think, new research enables us to answer that question and see how absolutely different they are from their elders. According to recent Pew Research, adolescents put technology in the same category as air and water. They feel they need it to live their lives. In fact, they would rather give up their pinky finger than their mobile device. I interpret this to mean they use their smartphone far more than they do their smallest finger. Incredible. This article was originally published on Common Sense Media by Sierra Filucci. It used to be that the worst thing a babysitter could do was raid the refrigerator. But this was before Facebook, texting, social media, and emojis. Today's sitters sneak -- or outright flaunt -- something many of us parents don't know how to deal with: constant texting, Instagramming, You-Tube-watching, you name it. So how do you dole out the rules? Of course, the most important thing is that your kids are safe while they're under someone else's care. You might think the worst could never happen to your kids, but mobile devices just make getting distracted even easier, and that can have tragic consequences. Less severe than a major accident, but still disturbing, would be finding out your babysitter texted all night and ignored your kids. This article was originally published on the Huffington Post by Elizabeth Perle. As the editor of HuffPost Teen, I spend a good part of my day talking to Snapchat-sending, Facebook-hating, selfie-taking, iPhone-obsessed teens that many adults love to judge. I also talk to their parents. This week, I received a fairly typical email from the concerned mom of one of our bloggers asking questions like: Is having an Internet profile safe? How many people will see it? Will strangers try to communicate with my kid? What about online predators? Kids especially tend to be drawn to the quick fix entertainment that smart phones offer, from access to the Internet to the many games and apps that are available for download. This can lead to your family being glued to their smart phone screens instead of interacting with their family at home. Most news concerning adolescents and the Internet highlight the actual dangers of online scams, cyber-bullies, and sexual predators that endanger credulous, gullible teens. The other risk is teens themselves. Perpetual hours spent online updating Facebook pages, writing tweets, emailing, instant messaging, sending photos on Instagram, downloading music, visits to game sites, shopping, and in some instances gambling, all contribute to the disturbances we see today regarding teen online activity. Kids today are spending on average slightly more than ten-hours per day, every day, online. This means that out of 168 hours in a week, kids spend 75 of those hours with some type of electrical or technical gadget. Our next guest blog post for Internet safety month comes from Ann Biddlecom, Senior Product Manager at Kaspersky Lab, one of the world's leading Internet security companies. Read on for her take on keeping your children safe on the computer. Social networking sites are a popular way for children and teenagers to keep in touch with each other and stay updated with what is going on in their lives. Facebook is currently the most popular site by far, and the process of updating your own status, and looking at other users' information, can take up quite a bit of a child's time. 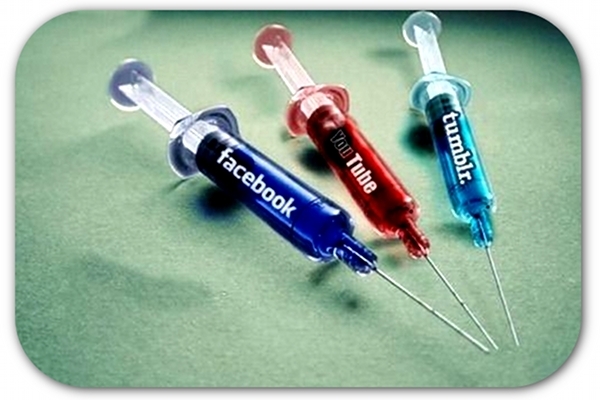 Unfortunately, some kids are on the site far too often and for long durations of time, leading to what can be called "Facebook addiction". This can lead to slipping grades, disciplinary problems, and social anxiety. Stepping in before Facebook addiction becomes a real problem can be done with sensible digital parenting and Parental Intelligence solutions, but it always helps to know what to look for in order to tell if your child is addicted to Facebook. These 5 signs should be taken very seriously and if they are present, you should be prepared to set rules and limits on Facebook usage. 1. Is your child constantly on Facebook? A child being constantly on Facebook is a sure sign of Facebook addiction. If their time on the site can be summarized as "multiple hours a day", you should have a talk with your child and let them know that it can be potentially unhealthy to be on Facebook for so long every day. Facebook monitoring programs can help you determine how long they are on and what exactly they are doing on the site. The Internet is an amazing thing. It is a way to connect individuals from around the world, together without ever having to leave the comfort of home. It can be used to gather information that was never accessible so readily and provides for a way to discuss aspects of life with old and new friends. With this power and greatness, though, come many risks, especially when it comes to children. All individuals, including children and teenagers, are susceptible to cyber harassment, stalking, and potential addictions as the result of Internet usage. The following explains more. I'll admit it. Smartphones are pretty addictive. They're fun to use, make it easy to stay in touch with anybody no matter where you are, and can do just about everything. I'm pretty sure you could spend a whole day on the couch without ever getting up except to go to the bathroom and eat – and maybe your teen has. Have you seen your texting teenager and wondered whether they're really addicted to their smartphone? 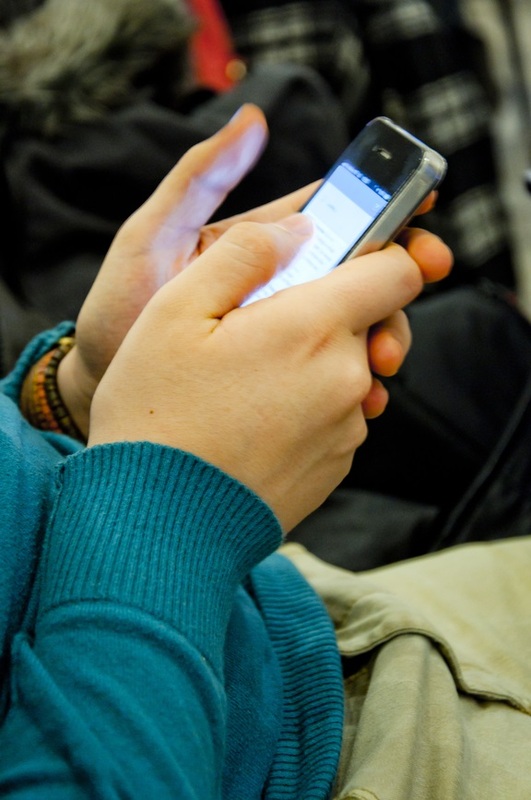 Does your teen have a smart phone? You've probably noticed that it makes a teenager's life a lot different than when we were kids. No more asking to use the house phone at a friend's house to call home – just text mom to ask her if it's okay to spend the night. No need to plan a night out – just check in on FourSquare and find out where everybody is. And that cute guy in Spanish class? You can get the inside scoop on him on Facebook without even talking to him. All parents know that the Internet is a place that requires parental involvement and parental monitoring. 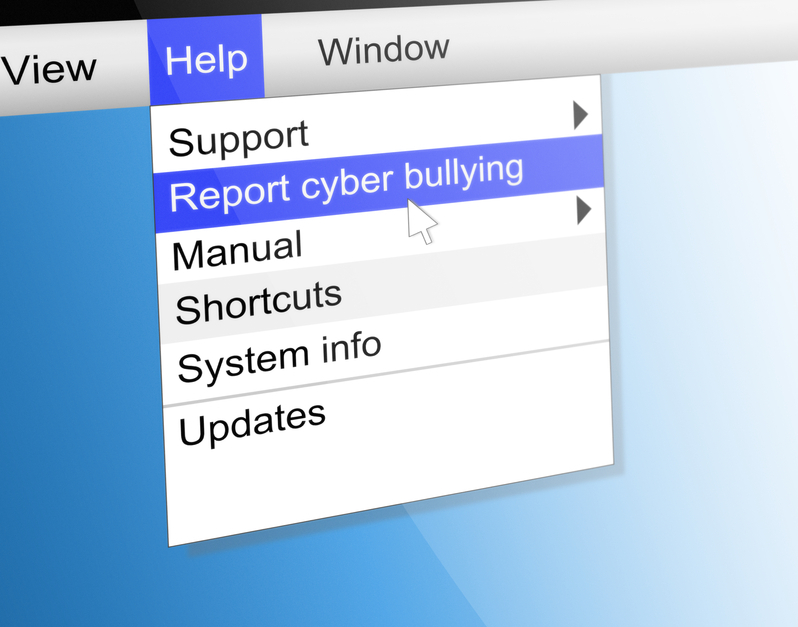 There are cyberbullies, online predators, and identity thieves out there to worry about. But the obvious dangers notwithstanding, did you know that some Internet uses and behaviors may also be linked to a teen's physical and mental health, too? Many studies suggest a correlation between certain types of online behavior and physical or mental health problems, from anxiety to obesity. At this week's book club meeting, the parents in the room were bemoaning how much our teenagers text. For those of us who are used to using the good old landline phone (bonus points if yours was not cordless), it can almost seem ridiculous. 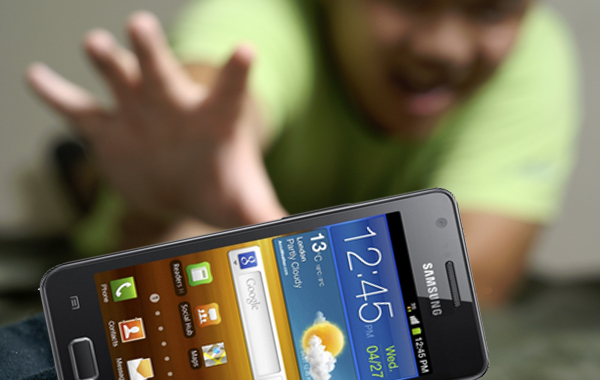 New dangers and scares for parents include sexting, cyberbullying, and everything in between. One of the moms exclaimed. “My daughter will spend half an hour texting her friends back and forth to coordinate a school project when a 5-minute phone call would clear everything right up!” Our kids just text a lot – some statistics say that the average teen sends and receives over 3,000 texts per month. 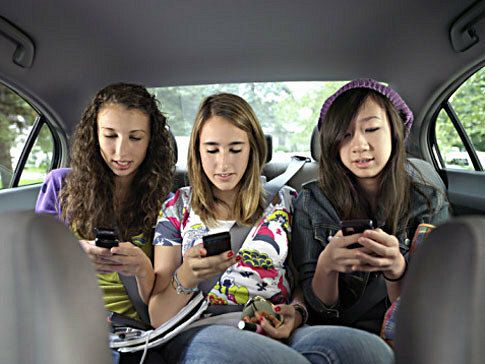 Do you feel that your teen is truly texting too much? It can be hard to get perspective on what's normal for a teen, since we didn't grow up with the option of texting anytime, anywhere. Try talking to other parents to get a feel for what's normal for your child and her peers.